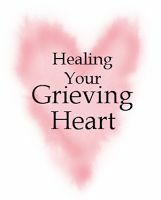 A support group for those grieving the loss of a loved one will be on Thursdays, Sept. 20, 27, and Oct. 4, 11, 18 at 6:30—8:00 PM. This group, sponsored by Resurrection and St. Matthew parishes, will meet at the Resurrection Parish Office. For more information or to register, contact Sheila De Luca at 920-336-7768 ext. 133; email: sdeluca@gbres.org or Ann Froelich at 920-435-6811; email: annfroelich@hotmail.com.